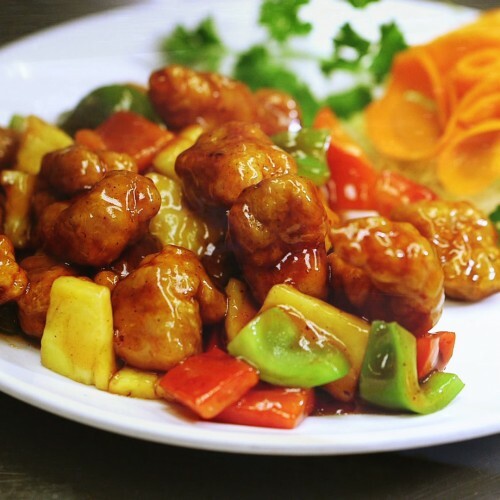 Chinese cuisines are perhaps the oldest and most sophisticated organized cuisines in the world, consumed by hundreds of millions every day and influencing other world cuisines in interesting and unexpected ways. Boasting over 5,000 years of history, even as early as the time of Confucius (551 BC – 479 BC) food was a lot more than sustenance, it was Cuisine! The classic or traditional Chinese cuisines are: Cantonese, Sichuan, Huaiyang, North Eastern also known as Dongbei, and Shandong. Culinary scholars will argue that there are in fact eight main Chinese cuisines but the truth appears to be much bigger! 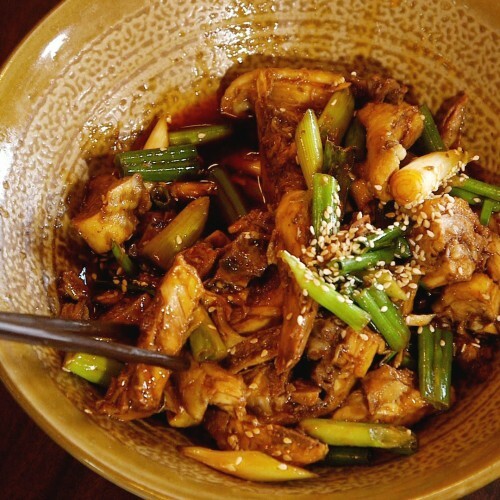 It is said that there are now so many different Chinese cuisines that if you were to eat a different one each day for a year you would not get through all of them! We suggest that you start with getting to know the big five, the “mother cuisines” that gave birth to all the others! 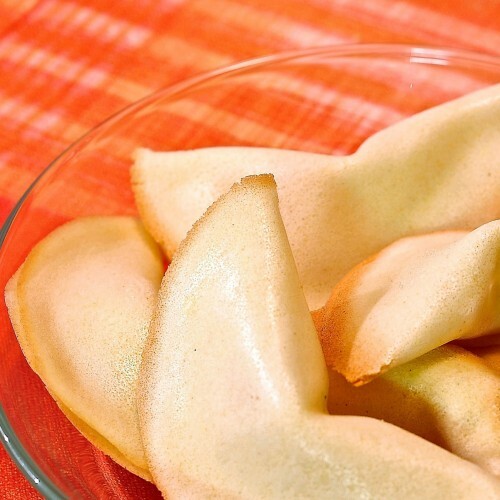 The history of the fortune cookie is a contentious one. It is known that the cookie originated in California, but not much other detail has emerged. There are a few thoughts on the subject. A Chinese immigrant, David Jung, living in Los Angeles and founder of the Hong Kong Noodle Company invented the fortune cookie in 1918. The story goes that David Jung was concerned with all the poor he saw in the streets near his shop. So he created a cookie to pass out to them for free. Each cookie contained an inspirational verse written by the local Presbyterian minister. A Japanese immigrant named Makoto Hagiwara, the designer of the Japanese Tea Garden in Golden Gate Park in San Francisco, invented the fortune cookie in San Francisco in 1914. Makoto was fired by an anti-Japanese mayor of the time and suffered much hardship until a later mayor reinstated him. Being thankful to those who had stood by him during this time he created a cookie that contained a “thank-you” note. These became very popular and in 1915 were displayed at World’s Fair in San Francisco. In the 13th and 14th Centuries, China was occupied by the Mongols. Chu Yuan Chang, a patriotic revolutionary of the time, made plans for an uprising against the Mongols. In order to instruct all the Chinese of the date of the uprising, messages were hidden in ‘Moon Cakes’. Moon Cakes contained a ‘yolk’ of Lotus Paste which the Mongols did not appreciate so this yolk was replaced with rice paper messages. The uprising was successful and the Ming Dynasty was born. A tradition of giving cakes with messages was born and the Moon Festival regularly celebrated. Some think that this legend is what inspired the Chinese 49’ers who worked on the construction the railways. At Moon Festival time they did not have any moon cakes but only biscuits, so out of necessity they improvised and the Fortune Cookie was born. Angel Island was not only the landing point for Chinese immigrants in the 20th century, but has a long and varied history. Three thousand years ago it served as a fishing and hunting site for Coastal Miwok Indians. It was later a haven for Spanish Explorer Juan Manuel de Ayala – was one of the first to map San Francisco Bay – a cattle ranch, and a U.S. Army post starting with the Civil War. 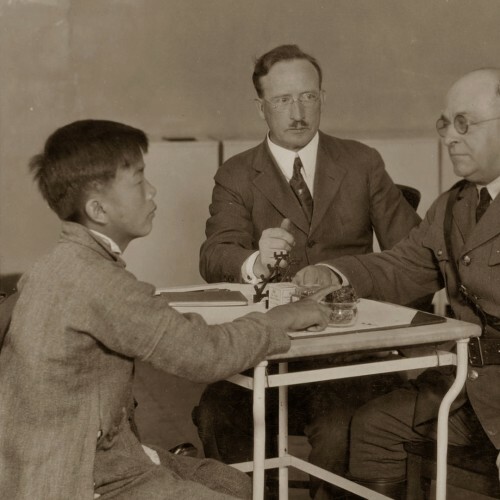 From 1910 to 1940, the island processed hundreds of thousands of immigrants, the majority from China. During World War II, Japanese, and German POWs were held on the island, which was also used as a jumping-off point for American soldiers returning from the Pacific. In the ’50s and ’60s, the island was home to a Nike missile site. “Eating Chinese” is part of Jewish culture in North America. How did this happen? 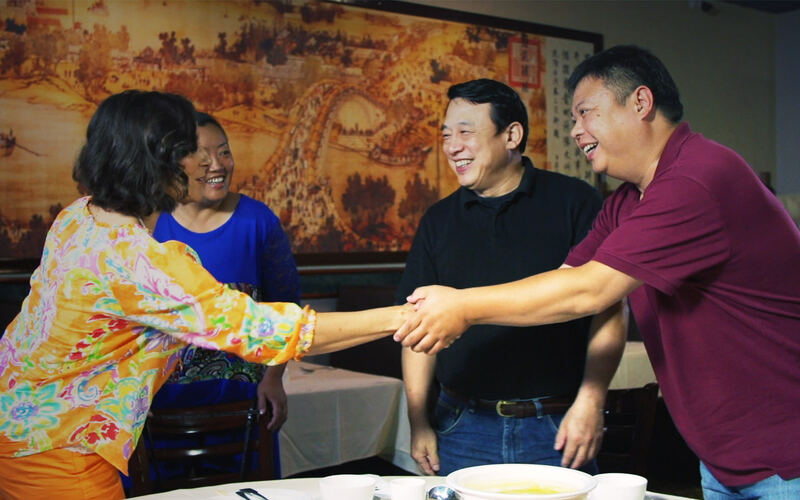 How did Eastern European Jews in North America come to adopt Chinese restaurant food, especially in New York City? Kosher food is an elaboration of three dietary rules: do not eat “unclean” animals and fish; do not inhumanely slaughter animals; and do not mix milk and meat. Many Jews, whether religious or not, had been powerfully socialized in their dietary customs. As a result, many immigrant, second-, and even third-generation Jews in North America found it difficult to break away from these taboos, especially the bans against mixing meat with milk and against eating pork and shellfish. Chinese food seems an unlikely fit for early Jewish immigrants however, as Chinese cooking does incorporate pork, shrimp, lobster, and other forbidden items. But Chinese cooking disguises the tabooed ingredients by cutting, chopping, and mincing them. Chinese food could be adopted by Jews because the forbidden substances were so disguised that dishes did not reflexively repulse. And unlike virtually any other cuisine available in North America, traditional Chinese cooking rarely uses milk products. The chopped-up treyf, the lack of milk, the use of some familiar ingredients, the use of tea without milk and the fact that they were not Christians, and perhaps even other factors such as the formality of Chinese manners, made Chinese restaurants and their food feel safe for Jews. Chinese food was safe treyf. The best cleavers are made of high-carbon stainless steel because they will not corrode and can hold an edge well. Never run a cleaver through the dishwasher or soak it in water, particularly if it has a wooden handle. Immediately clean and wipe it dry after each use. Look for high-carbon stainless steel, which is rust-resistant and holds an edge; a slightly curved blade; triple rivets so the handle won’t come loose; and a full tang (meaning the metal of the blade extends into and all the way down the handle, for strength). The knife should feel lightweight and balanced, with the center of gravity where you grip it. 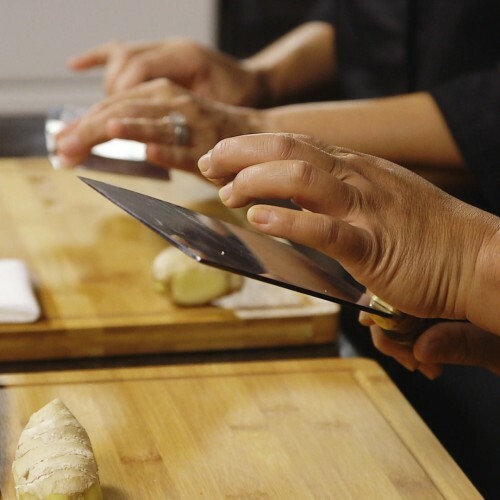 Grip the knife on the sides with your thumb and first finger and the other three fingers under the handle. Plant the tip of the blade farthest from you and rock it downward and then forward. Keep it sharp. Set the part of the knife’s blade that’s closest to the handle against a rod-shaped diamond steel at a 15° to 18°angle. Pull the knife down and across the steel in an arc, all the way to the tip. Repeat several times on each side of the blade. Wipe clean. Chopsticks are called “Kuaizi” in Chinese and were called “Zhu” in ancient times. Kuaizi has been one of the main types of Chinese tableware for more than 3,000 years. Liji, or The Book of Rites, says that chopsticks were used in the Shang Dynasty (1600 BC – 1100 BC). Shiji, a Chinese history book written by Sima Qian in about 145 BC, tells that Zhou, the last king of the Shang Dynasty (around 1100 BC), used ivory chopsticks. Experts believe the history of wood or bamboo chopsticks can be dated to about 1,000 years earlier than ivory chopsticks. Bronze chopsticks were invented in the Western Zhou Dynasty (1100 BC – 771 BC). Lacquer chopsticks from the Western Han (206 BC – 24 AD) have been discovered in Mawangdui, China. Gold and silver chopsticks became popular in the Tang Dynasty (618 – 907), when it was believed that silver chopsticks could detect poisons in food. The Kuaizi Museum in Shanghai has collected over 1,000 pairs of chopsticks; the oldest one being from the Tang Dynasty. Chopsticks can be classified into five groups based on the materials used to make them; i.e., wood, metal, bone, stone and compound chopsticks. Bamboo and wood chopsticks are the most popular ones used in Chinese homes. Chopsticks should never be placed upright in a bowl because it is a custom exclusively used in sacrifice. Bowls should never be beaten with chopsticks either, as this behaviour was once exhibited by beggars. According to one old Chinese belief holding your chopsticks at the far end will cause you to move very far from your hometown for marriage.